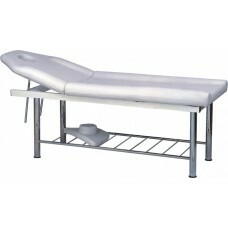 Massage table KO-5, buy at the price of 219 in Europe. 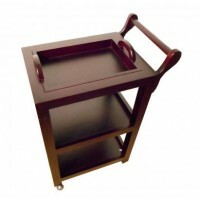 If there is a need for a multi-function table, the model TO-5 is exactly what you need. 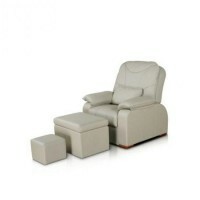 KO-5 is a modern massage table, which easily turns into a couch for beauty treatments. KO-5 is a stationary model with a robust metal base to provide much resistance and the ability to carry a large static and dynamic loading. The position of the upper half section is adjustable, moreover, it has an ergonomic cutout for the face, which can be closed by padded headrest if necessary. The table is additionally equipped with removable armrests.